I’m a little bit obsessed with Alton Brown and his show, Good Eats. I have the first two volumes of his Good Eats cookbooks, some DVDs and have seen almost every episode of the show. It’s kind of weird because in many ways, we are completely different cooks. 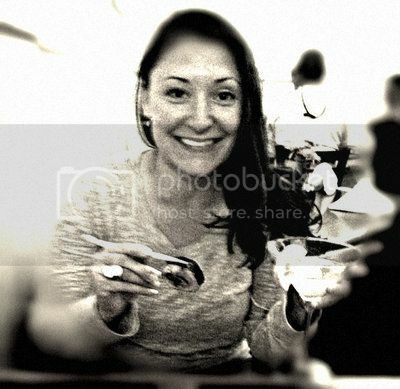 Besides the fact that he is a famous chef and genius….he’s very precise and particular about the way his recipes are made and I’m . . . not. But something about his knowledge base and educational and visual illustrations of how cooking actually works is fascinating to me. After watching a show about cookies you feel like you just finished a course at Le Cordon Bleu….in a good way. Anyways, he has a recipe for his own chili powder and “cowboy style” chili. 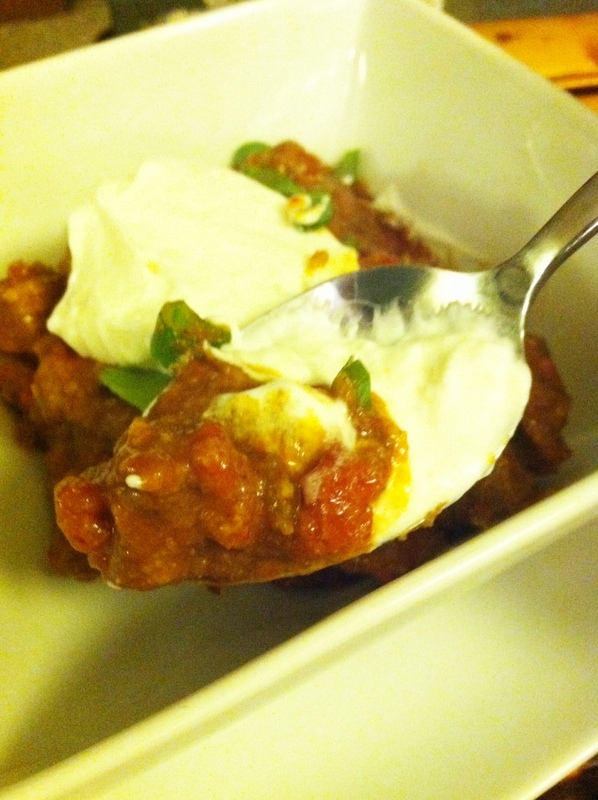 This is the kind of chili that was really made out on the range – without beans or corn or potatoes or a lot of fluff. Just meat, stewed with chilies and tomatoes. 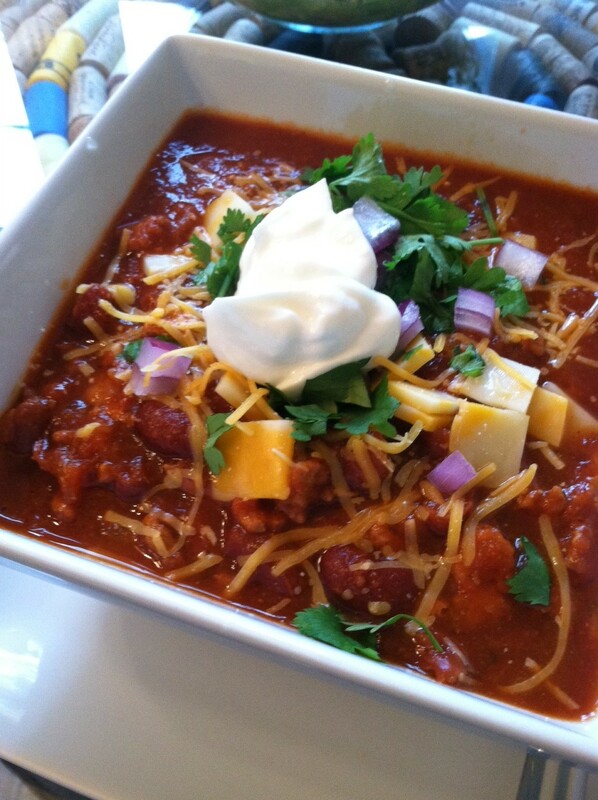 I made this recipe for the first time a year or so ago, and because I wanted to make my own chili powder, like he does for his, I purchased two different kinds of dried chilies. Not the kind he suggested, because I couldn’t find them, and I’m not a perfectionist like him, but they were similar enough. 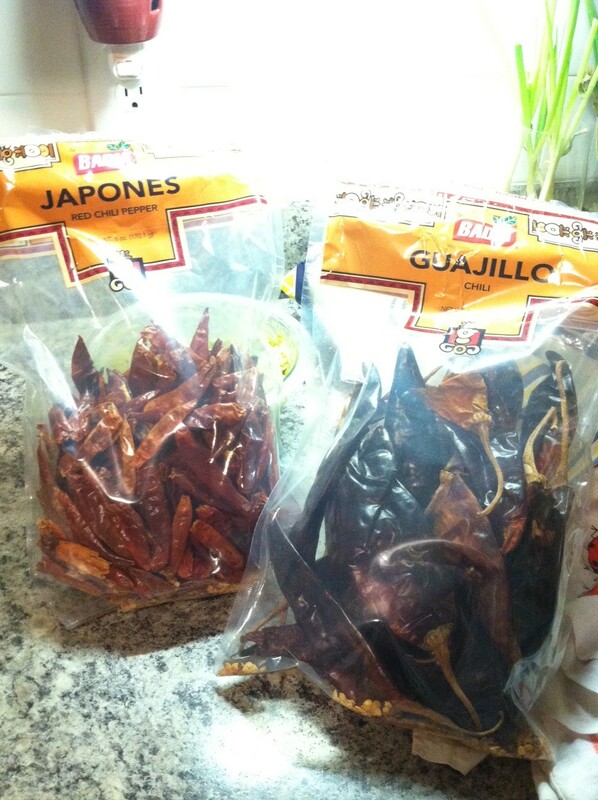 The problem is, these bags of dried chilies (found in the “International” aisle of your grocery store) are HUGE. You only need about 9-12 chilies to make your powder, which leaves you with about 300 chilies. 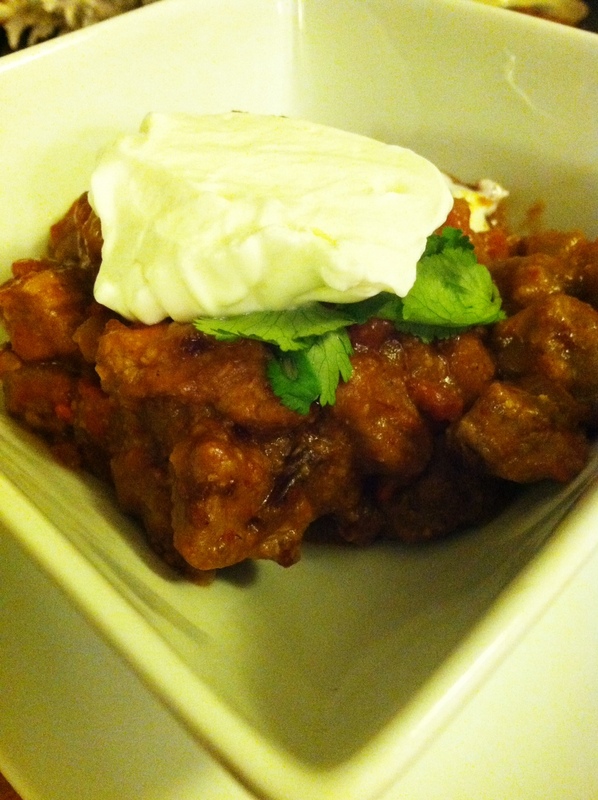 So, I decided I just needed to make this chili or at least my own chili powder, more often. The truth is, chili powder that is pre-bottled at the grocery store doesn’t really taste like much. It’s usually not very spicy and even if it is, it can lose its flavor quickly. This chili powder is pretty easy to make, and is incredibly flavorful and can be as spicy as you want it, depending on the chilies you use. Place all of the chiles and the cumin into a medium nonstick saute pan or cast iron skillet over medium-high heat. Cook, moving the pan around constantly, until you begin to smell the cumin toasting, approximately 4 to 5 minutes. Set aside and cool completely. Once cool, place the chiles and cumin into the carafe of a blender along with the garlic powder, oregano, and paprika. Process until a fine powder is formed. Allow the powder to settle for at least a minute before removing the lid of the carafe. Store in an airtight container for up to 6 months. I used six Guajillo chilies and three Japones. Usually the bags rate the chilies in spiciness on a 5 chili scale, so you can just purchase whatever heat intensity you prefer. Once you have your chili powder made, you’re read to make the actual chili. His original recipe calls for a pressure cooker, but you can use a Dutch Oven, it will just take a bit longer. The instructions below are for using a large, cast iron Dutch oven. Heat a large, cast iron Dutch Oven over high heat until hot. Add the meat in 3 or 4 batches and brown on all sides, approximately 2 minutes per batch. Once each batch is browned, place the meat in a clean large bowl. Once all of the meat is browned, add the beer to the pot to deglaze the pot. Scrape the browned bits from the bottom of the pot. Add the meat back in along with the salsa, tortilla chips, chipotle peppers, adobo sauce, tomato paste, chili powder, and ground cumin and stir to combine. Put the lid on top and put into a 375 degree oven for two hours, stirring every thirty minutes. Serve with preferred toppings. This recipe helped me use up a few things in my cabinet: the chilies for the chili powder, some left-over taco shells, which I crushed and used in place of the tortilla chips, a batch of homemade salsa that had been in the freezer since the summer and some chipotle peppers/adobo I had saved in the freezer. I need these more often than you’d think, but I always only need one or two at a time and usually one small can has about 5 or 6 and cost like $3. No point in wasting them – just freeze the remainder of the can and use at will. I also used local, grass-fed beef from Windhaven Farms which, of course, was delicious. Their “stew beef” pack was the perfect type of beef for this. This chili is serious. It’s not your average American beans and corn and relatively mild type of thing. And don’t get me wrong – I love those kinds of chilis also, but if you want something really hearty and really filling and really classic, this is the way to go. 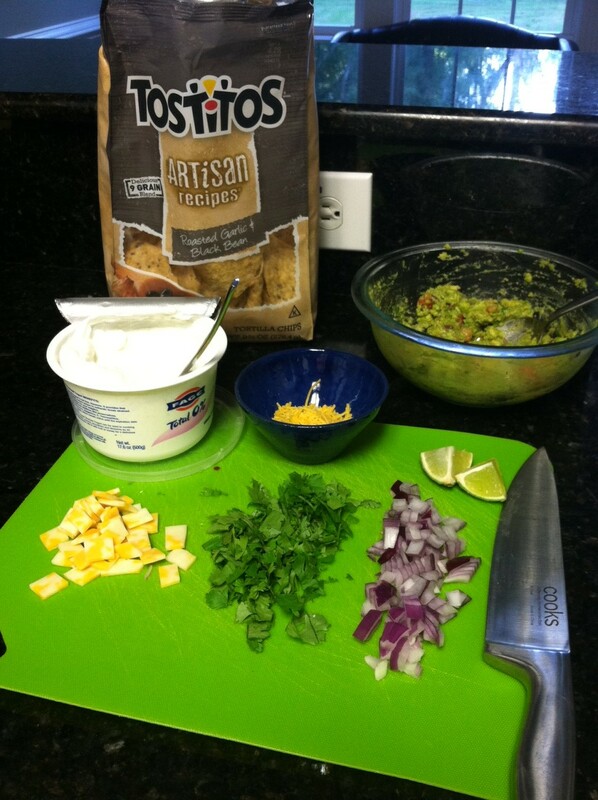 I topped mine with plain, nonfat Greek yogurt (in place of sour cream), sliced green onions and cilantro. Chopped onions would also be nice, or a wedge of lime, or cheese if you want to go all out, although AB swears the only acceptable toppings are onions and cilantro. But again, I’m no perfectionist . . .